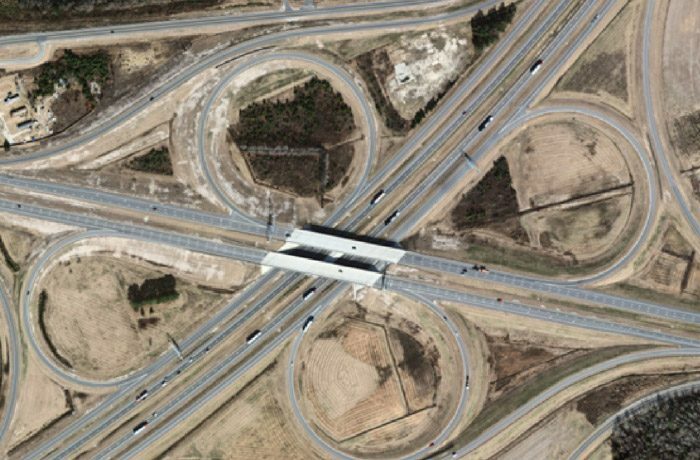 In order to bring US 74 up to Interstate standards in Robeson County, TGS provided roadway and hydraulic design as well as surveys and construction phasing for this $100M roadway improvement project. The project consisted of a 4-lane divided freeway on new location with a 70’ median, two diamond interchanges and one full clover interchange at I-95. Over 30 miles of roadway was designed for this project including freeway, loops and ramps, secondary roads and detour routes.